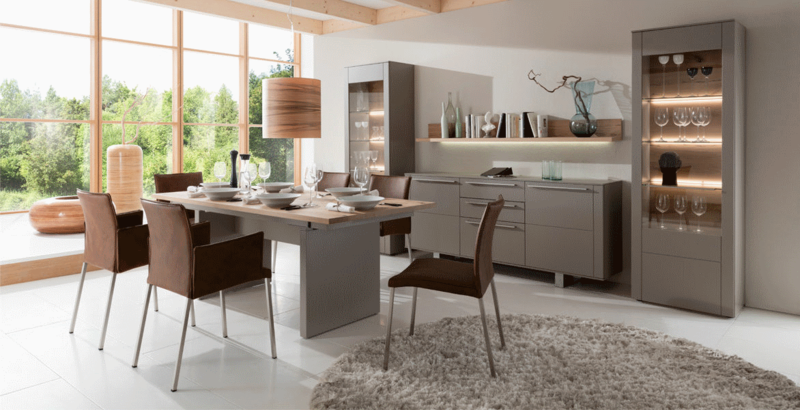 Contemporary furniture made in Germany. 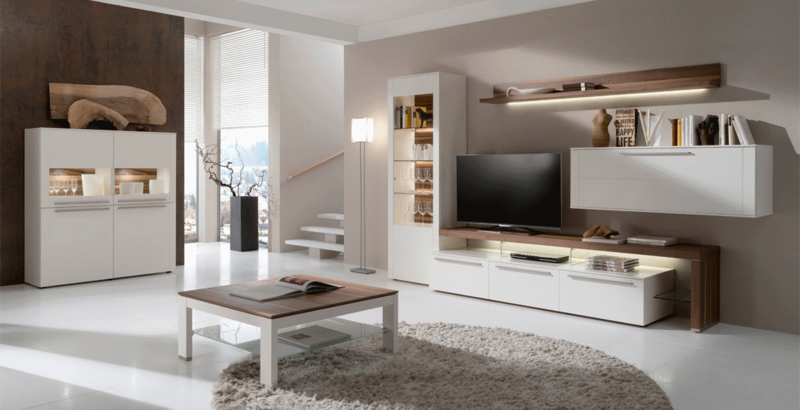 The living room is the centre of every home and organisation is key to providing the minimal and modern look. 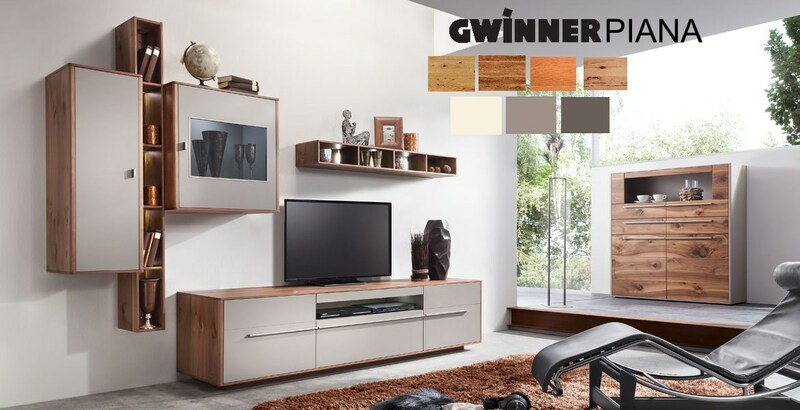 Gwinner offer a range of wall storage systems which provide both style and functionality in contemporary furniture pieces for your living room. 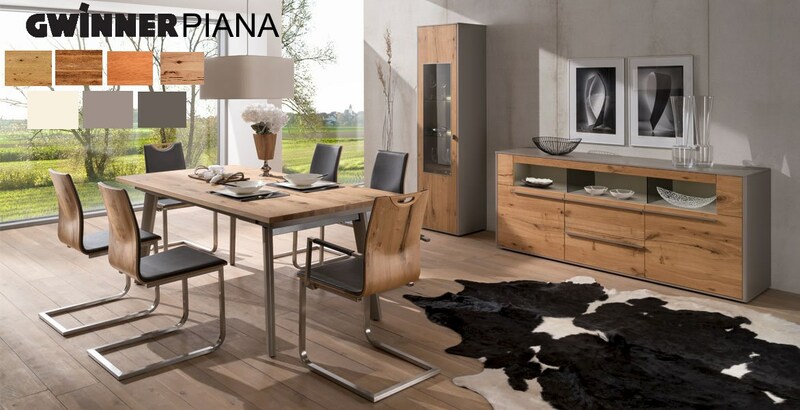 We currently have the Felino, Bellano, Piana & Media Concept ranges on display in our huge Newport showroom. 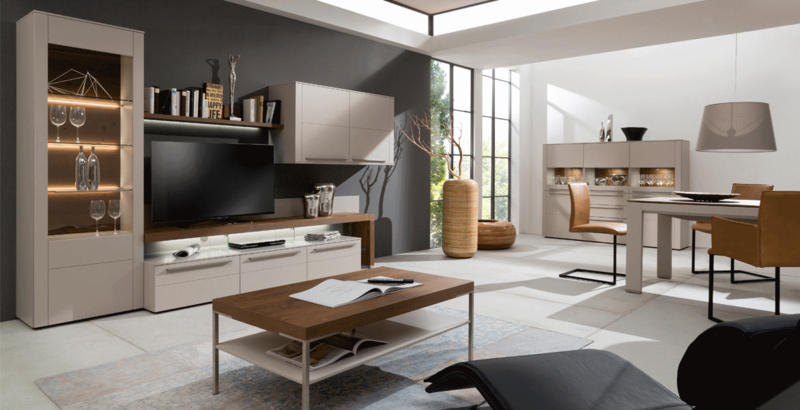 The MEDIA CONCEPT vision: Transform any living room into a multimedia experience room. 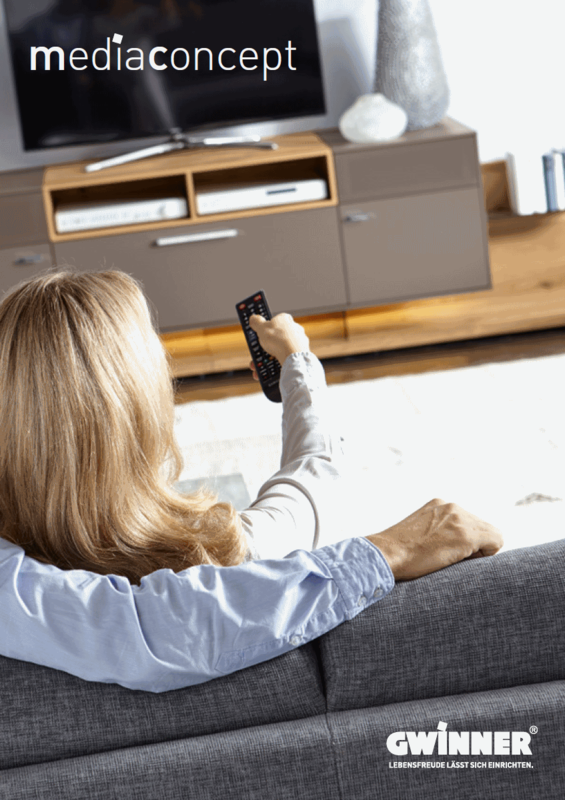 Offering extremely variable yet professional media solutions, the MEDIACONCEPT can meet any TV-, sound- and IT-system requirements with its groundbreaking design and exemplary functionality. And not to mention its quality, based on Gwinner's craftsmanship. 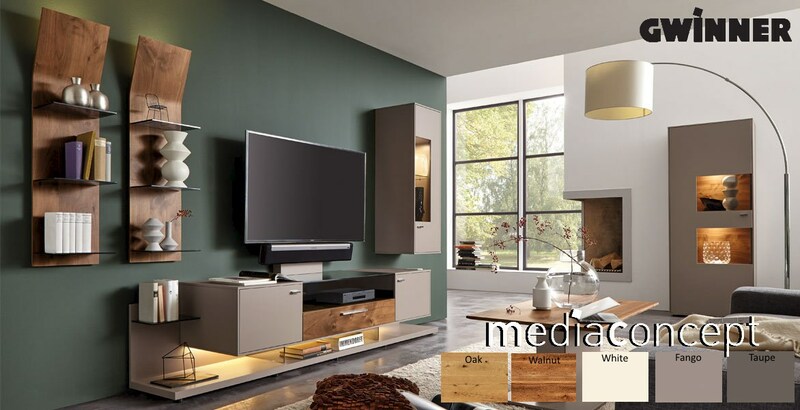 Media furniture with a Concept. 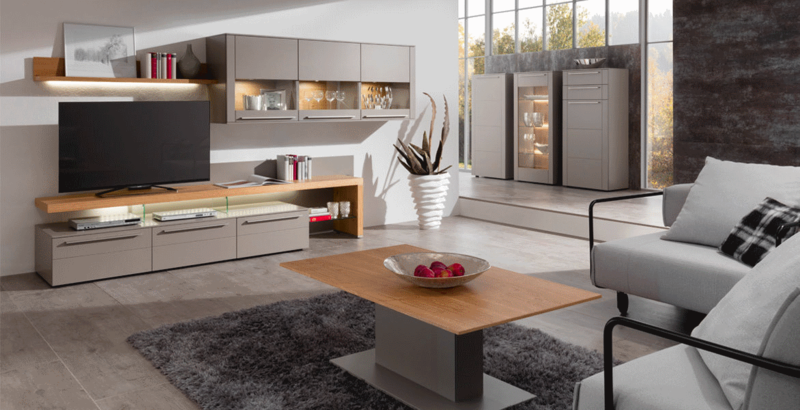 a hugely versatile and expressive range that adapts to any room and living arrangement. 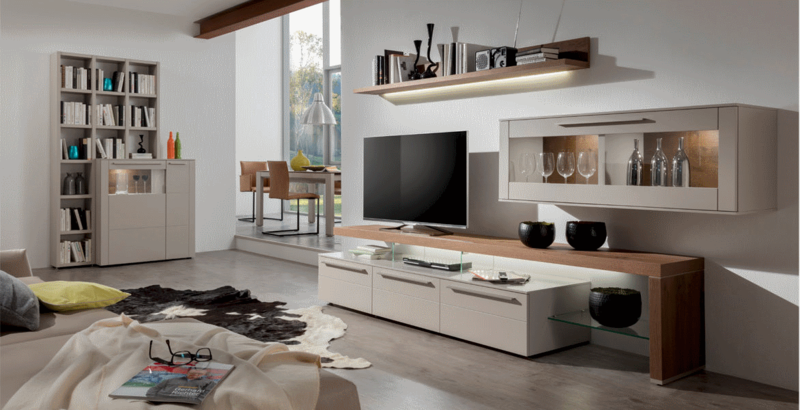 Thought-out right down to the last detail, this range invites you to play with different elements. 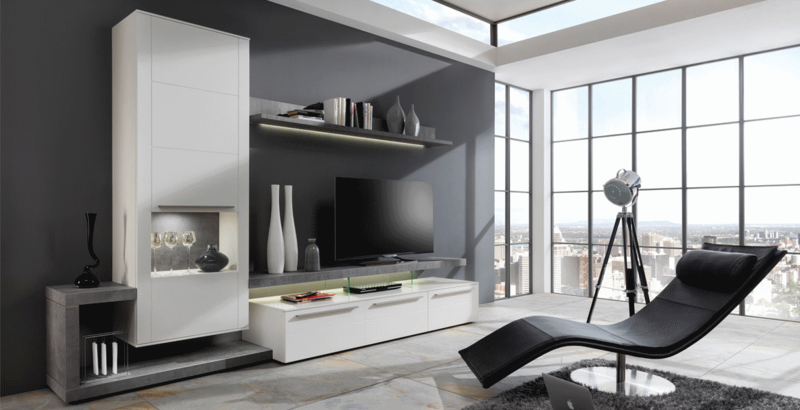 When we speak of a wall unit in premium quality, we mean the environmentally friendly treatment of the surfaces , modern fittings for comfort , sophisticated lighting technology with high quality products, select mirror elements and much more . In addition, the quality shows throughout the production process to the finished product. Quality, for which there is signed and sealed. Our production is equipped with modern machinery and sophisticated technology . Nevertheless, it is and remains the manufacture of high quality furniture , a matter of the heart . In addition to professional qualifications and specialized know -how of our employees have therefore a very special meaning for wood and what they make of it. 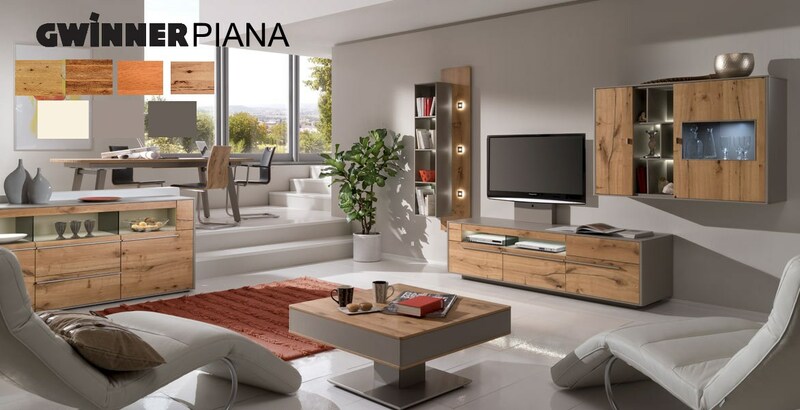 Fill in the form below to view both Media Concept and Piana Brochures. 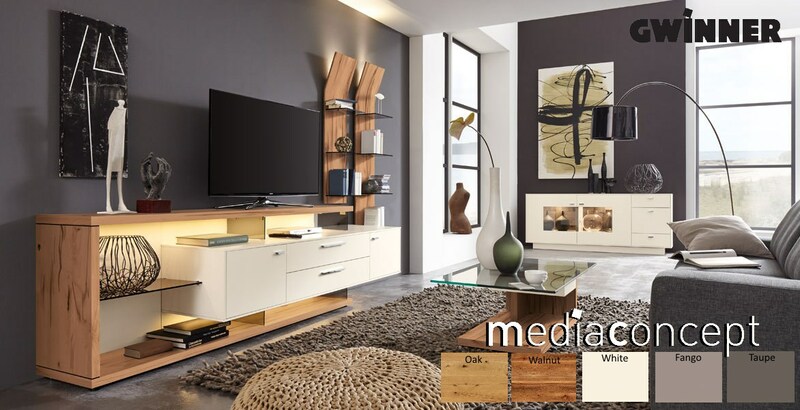 Media Concept means innovative furniture for media systems - with the perfect TV and home cinema solution for any home. 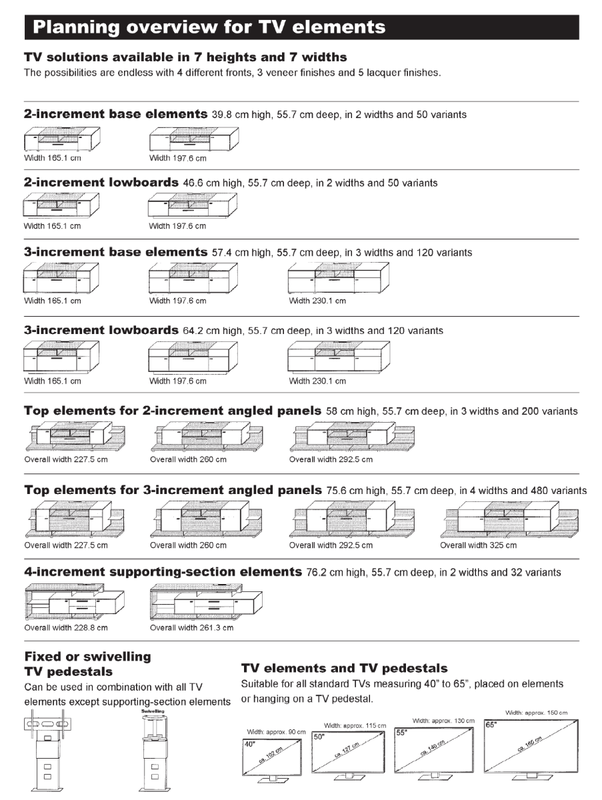 Space for all standard TV sizes, fro 40 to 65 inches. ENTER YOUR DETAILS BELOW FOR A LINK TO DOWNLOAD BOTH BROCHURE & PRICE LIST.